Icelandic low-cost carrier Wow Air Hf has ceased operations after failing to find an investor to rescue the struggling carrier. Wow Air has been struggling financially since last year. In November 2018, it was announced that the airline would be taken over by rival Icelandair Group. However, Icelandair pulled out of the talks at the end of that month. As a result, Wow Air began returning its A330 fleet to lessors. The airline also deferred its A330neo deliveries indefinitely. 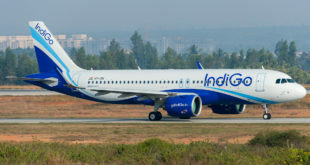 The airline then announced a preliminary deal with American equity firm Indigo Partners. However, the firm withdrew its investment proposal earlier this month. Wow Air then began brief unsuccessful talks with Icelandair again. 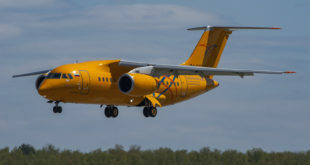 On 26th March, the airline announced that it had reached deal with lenders to convert debt into equity. The airline had also floated a turn-around plan. Earlier today the airline announced on its website it had ceased operation and all flights had been cancelled. The airline has advised passengers to try to recover their refunds from credit card companies or tour operators. Or that they may be entitled to compensation from WOW AIR according to European regulation on Air Passenger Rights, but may have to file a claim through liquidation if the carrier declares bankruptcy. Next Spicejet launches flights from Jharsuguda, Kishangarh, and Lakhimpur. And 20 more flights.